Power Rangers Super Megaforce Episode 3 “Blue Saber Saga” Preview Online! A special preview for the third episode of “Power Rangers: Super Megaforce” is now available for viewing! “Blue Saber Saga” airs March 1st at 12pm! Set your recorders & don’t miss it! Thanks to Fury Diamond and his blog Samurai Cast Blog for the video heads up! 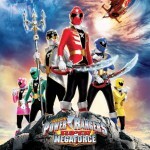 Power Rangers Megaforce "Ultra Mode" Special Preview! 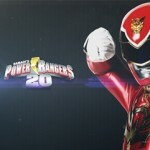 With San Diego Comic-Con in full swing, Nickelodeon and Bandai are teasing the future of Power Rangers! Follow TokuNation on Twitter for any incoming SDCC News! Thanks to TimeFire302 for noticing! 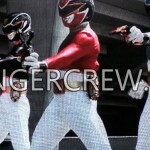 Thanks to our good friends at RangerCrew.com we have the first actual image of the Power Rangers Megaforce preparing to go in to their “super modes” by using the morphing device from the Super Sentai Gokaiger, known in that series as a Mobirate. You can also see that they have Ranger Keys in the Mobirate, more or less confirmed that’s how they will actually transform in to the Super Megaforce Power Rangers. 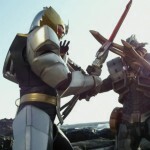 Again, big special thanks to Fury Diamond of RangerCrew.com for the heads up and this image. Bandai has finally confirmed the prices of their exclusive merchandise to be sold at San Diego Comic Convention! *The Green Dragon Ranger is $25. SDCC starts next week so anyone wanting these exclusives should contact an attendee and work out some buying options! Thanks to member raz for the heads-up! The newest episode of Power Rangers Megaforce airs today at 1pm on Nick and features the debut of Megaforce’s Sixth Ranger- RoboKnight! Be sure to join in the discussion Right Here! 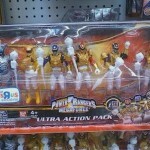 Credit to RangerCrew for the previews!